What is the Role of IoT in Accelerating the Business Revolution of Enterprises? The Internet of Things (IoT) is a revolution that is enabling enterprises to take their operational efficiency to greater heights. From empowering agricultural organizations to reduce energy consumption and increase crop yields to providing predictive maintenance for logistics and manufacturing companies, IoT is playing a key role in the business revolution of enterprises. Enterprises looking to transform their business operations should opt for Azure IoT Suite from the leading IoT service providers. 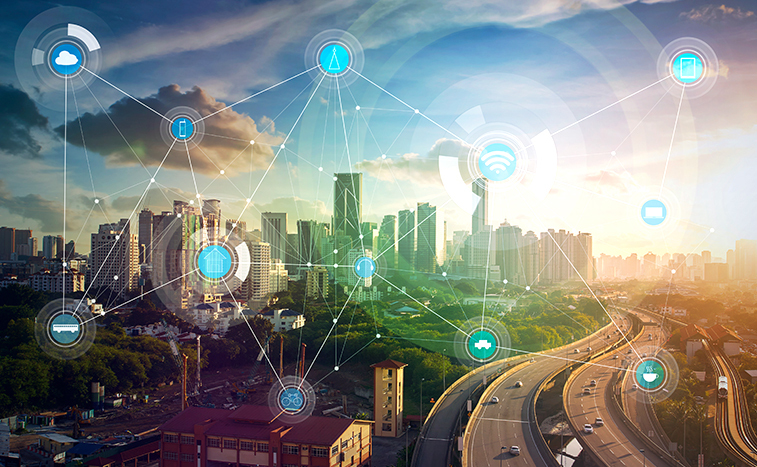 Being a scalable solution, IoT allows enterprises to add new devices or connect existing ones using SKDs for a range of platforms, including Windows, Linux, and real-time operating systems. Organizations are assured of hassle-free scaling, irrespective of the number of devices. It is possible to easily integrate the IoT Suite with applications such as SAP, Oracle, and Salesforce, as well as with the existing systems. With the built-in features like Artificial Intelligence and Machine Learning, the IoT security solutions provide enterprises enhanced security by allowing them to set up credentials and individual identities for each of their connected devices. Features like secure connectivity, device authentication, native support for IoT protocols, and extensive device SKDs with multi-language support offer enterprises a low-code way enabling them to develop IoT production grade applications without the need of managing backend infrastructure. The IoT Hub helps enterprises to effectively connect, monitor, and manage all of their IoT assets, and enables smooth communication with all their “things”. For enterprises looking for a resilient system with efficient use of bandwidth, the Azure Stream Analytics on IoT Edge offers the perfect solution for edge devices. It frees enterprises from worrying about their data management and allows them to focus more on business insights. By having more insightful data from smart devices and network of sensors, enterprises have accurate knowledge of what their consumers really want and the manner in which they’re using the currently available services. This helps them in building new products and service lines, improving the delivery of services, and enabling effective transformation of previous business models. While IoT offers innumerable benefits that help enterprises gain a competitive edge, it is extremely important to opt for only the leading IoT service providers having globally recognized certified consultants with rich expertise in delivering technology, strategy and business driven solutions. This will help enterprises attain high-quality solutions with zero lock-in period and reduced risk thereby accelerating their time to market.